The shopping days left this holiday season are ticking down, and if you’ve looked at your sales this quarter and you don’t like what you see, here’s an idea for a last gasp effort. For perspective, and the rationale of what you’re about to read, one just needs to look back one year ago to the headlines. It was that while retail shopping was so-so, online holiday shopping broke records. That’s bound to happen again this coming Black Friday and Cyber Monday. A big contributor to online sales wasn’t the usual shopping from computer desktops at home. It was shopping from an iPad, a mobile device. With 170 million iPads having been sold, there’s at least one in most households. But I’m not writing here about just making sure your website and emails are optimized for mobile (even though that should be on your must do list for 2014 if you haven’t made the adjustment to mobile responsiveness). I’m writing about a device that has proven to be a tipping point for consumers: online video. And consumers with iPads love watching videos (largely because the video looks so good on the iPad screen). · Video nurtures confidence: 52% of consumers say that watching product videos makes them more confident in their online purchase decisions. (Internet Retailer). · Shoppers who viewed video on product pages were 144% more likely to add to cart than other shoppers (Internet Retailer). · Shoppers who viewed video were 174% more likely to purchase than viewers who did not (Retail Touchpoints). · Looking for higher email click-through rates? Link to a video. About half of marketers who use video in email campaigns see increased click-through rates, time spent reading the email, and more sharing and forwarding. (eMarketer). 1. Look at your competitors. See what they’re doing. 2. Record a video! If you don’t have expertise inside your organization to record and edit a video, contact us. We may be able to shoe-horn you in our calendar. 3. Load the video on YouTube. Read here for 10 ways to improve YouTube video search ranking, and 12 overlooked ways to help your video rank higher on YouTube. Place it on your website or a landing page. 5. Include a link to your video on social media. After about 24 hours, check your social media metrics and you should see a spike in engagement with your followers. 6. Mail a postcard. You have time. Make it graphically obvious on the postcard you have an important video story/product demonstration/testimonial) and direct your customers to your landing page. Use an oversized “Play” symbol on a thumbnail that you create of your video. Use a QR code or a pURL to more closely track response. 7. After bringing a prospect to your landing page, you’ve got them started at the top of your sales funnel. Now it’s time for marketing automation software to takeover (more about this topic in a future blog) and convert the lead to a customer before the books close for 2013. 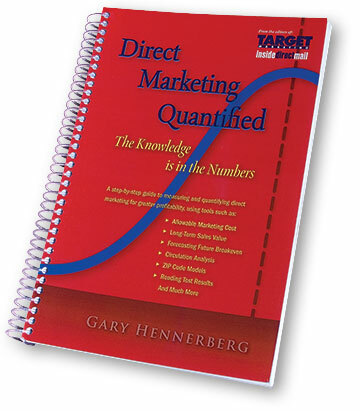 Read more details about this mobile marketing idea at Reinventing Direct at Target Marketing Magazine. Now is your time to demonstrate if you’re an agile marketer and get an online video out in the next few days. Do it even if your numbers are looking good this week, because next week a competitor may grab some of your business with an online video.